Yippee!!! Lots of little detail work to do. Next, the on the agenda is the deadman. The Before Photo just for fun. 2 Responses to Oh the bench is back!!! 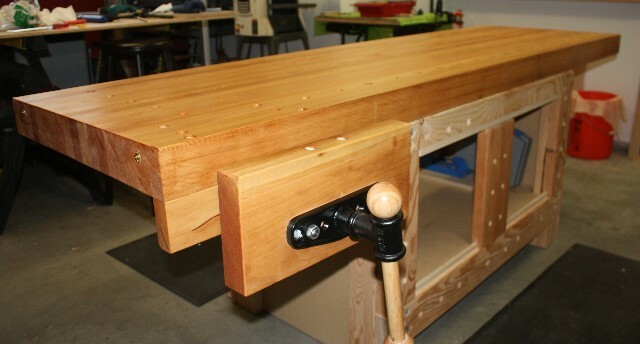 Great looking workbench. 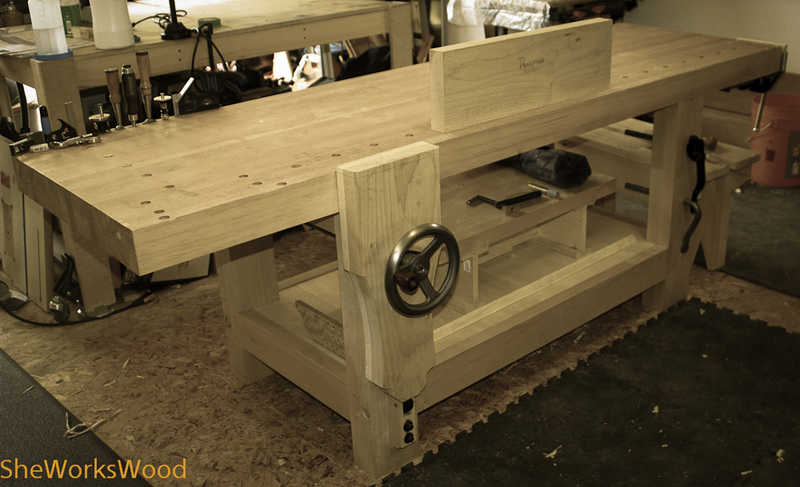 Will serve you well for many years, but where are the “woodshop kittys”? Oh, Inspector Kitten has been out several times. I’ll take a quick pic the next time he’s out. Thanks! I’m sure it will serve me well .. it has so far and I’m looking forward to the improvements.